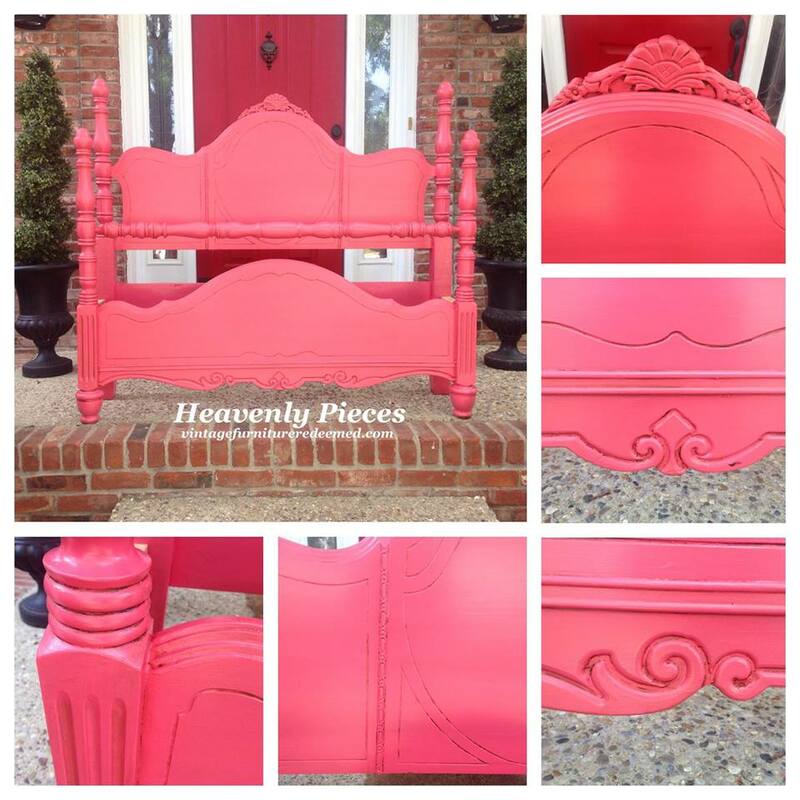 Beach chic bedroom set upcycled with Coral Crush Milk Paint by Keith & Sharon at Heavenly Pieces-Vintage Furniture Redeemed_! Sharon says, "Coral beauty. I have plans for this to be a part of a bold and fun bedroom set... unless it sells first!"